Choosing the right vehicle for the right task is very important. For example, you could assign lighter vehicles to longer routes and select alternative fuel vehicles for shorter routes. The fewer times your engine starts, the less fuel you will consume. Changing gears sooner will also help lower your overall revolution per minute, resulting in less gas consumption. GPS vehicle tracking system technology allows in-vehicle ‘beeping’ functions which can alert drivers to turn off their engine when the vehicle has been put into “Park”. Restricting and reducing speed is another method for reducing wasted fuel. The implementation of speeding restrictions in fleet management is very helpful when it comes to saving fuel. This is because the slower the speed the less fuel required, ultimately resulting in lower fuel expenditure. GPS vehicle tracking system technology can also help drivers reduce fuel consumption by reminding them to slow down and stay within the posted speed limit. When it comes to idling, unnecessary consumption equals unnecessary costs, which is amplified further with the more vehicles a business operates. Reminding drivers to turn off their engine can have huge paybacks in both the short and long term. Aggressive driving also leads to greater fuel use. This includes things like speeding, harsh breaking, accelerating, and even sharp cornering. It is important to change driver habits to improve vehicle economy. Switching to alternative fuels can be very beneficial. 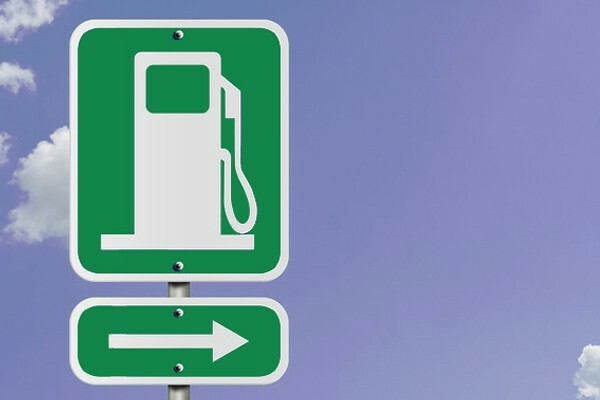 It can help save on fuel expenses because alternative fuels are cheaper than regular oil. Not only is the fuel cheaper, but the maintenance fees are also lower. Having a lighter vehicle load can help contribute to fuel savings. The lighter the vehicle, the more fuel efficient the vehicle will be. Car manufacturers have been able to significantly decrease the weight of many newer vehicles by building them with composite body parts. Here at GoFleet, in partner with Geotab, we are committed to helping businesses realize a solid return on their GPS vehicle tracking system investment. Getting better MPG usages lies at the heart of what we do, as there are many contributing factors for reducing overall fuel expenditure. To learn more about how a GPS vehicle tracking system can help your business, contact GoFleet today. When Do You Need Satellite Tracking For Vehicles?